It is not as famous as the Plymouth Rock but it has been used as a navigational tool since before the Pilgrims landed. This massive boulder is McGulpin Rock, near Mackinaw City in Northern Michigan. 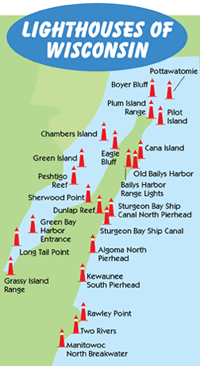 In 1615, French explorers noted the huge rock near the Straits of Mackinaw. One of the explorers in the expedition was the man believed to be the first European to cross each of the Great Lakes, Etienne Brule. Plymouth Rock in Massachusetts was where Pilgrims landed in 1620, five years after Brule made note of McGulpin Rock. 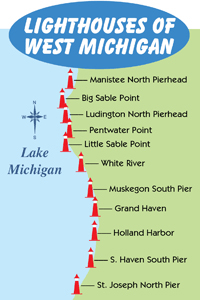 Brule's explorers reported that the rock was used by Native American tribes as both a navigational tool and to measure the cyclical changes in the depths of the Great Lakes. McGulpin Rock is big--more than 10 times bigger than Plymouth Rock. McGulpin Rock is nine feet tall and weighs in at 54 tons compared to the tinier Plymouth Rock's five tons. 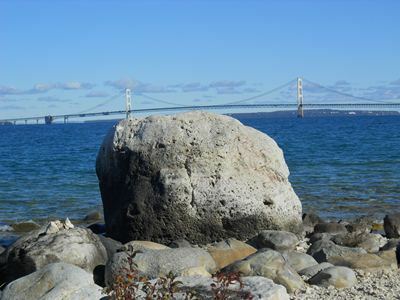 McGulpin Rock is right on the shore of Lake Michigan with majestic views of the Mackinac Bridge and the Straits of Mackinaw. 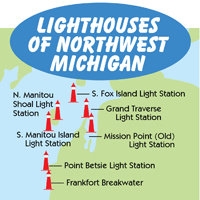 The huge rock is located down the hillside from McGulpin Point Lighthouse, just outside Mackinaw City. McGulpin Rock can be accessed by walking down the path behind the lighthouse or driving down the road just outside the entrance to the lighthouse. 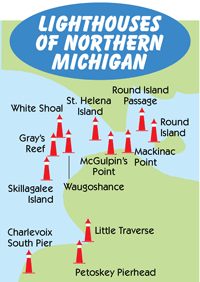 McGulpin Lighthouse is open to the public and can be toured--including a climb to the top of the tower on the spiral staircase.